Everything your team needs to share knowledge and more. Easier to set up and more intuitive to use, discover Slite for your company wiki. Easy to set up and use for your entire team, you won't need to worry about information getting out of the date. Create, share, retrieve information thanks to the clutter-free interface. 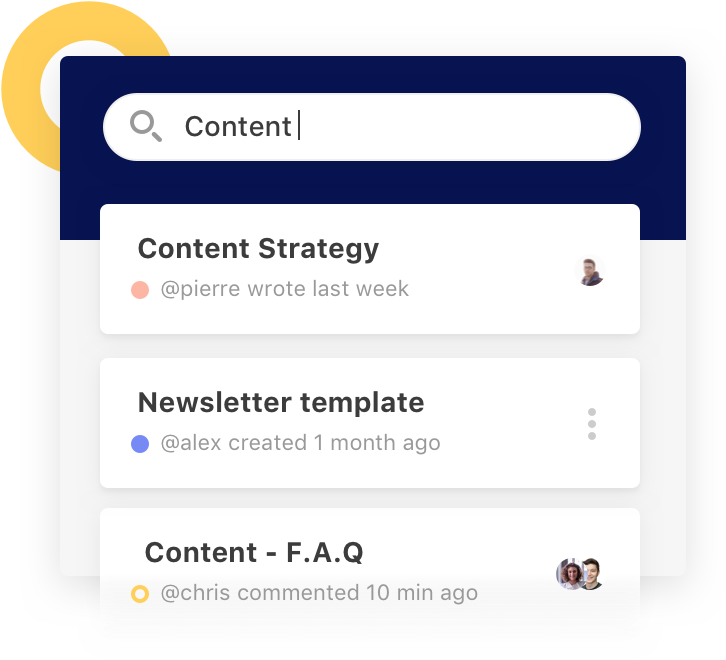 Gather all your team's knowledge in Slite by organizing content in channels. Need a good overview of who sees what? Control access and permissions to specific information in just a few clicks. Create public or private channels to classify your information. Set user contributor rights for each channel. Write and share information quickly thanks to our intuitive editor. 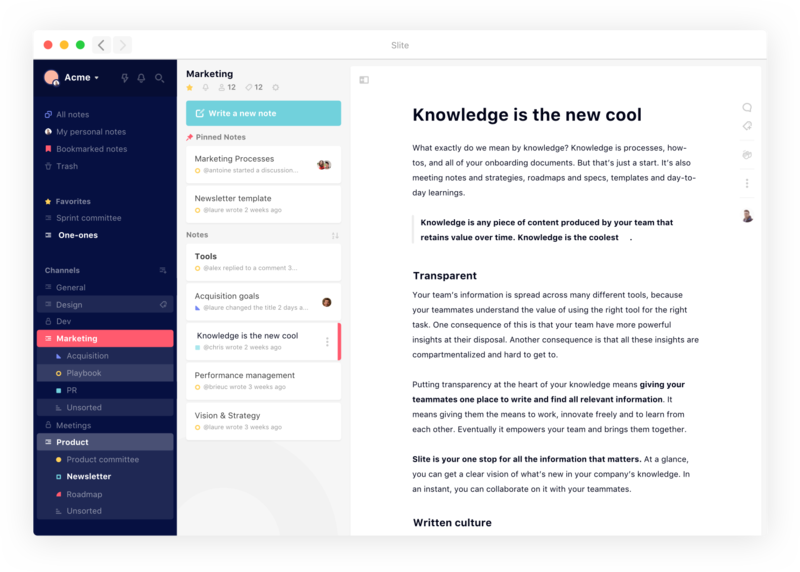 Use note links to connect relevant information, comments to give each other feedback and Slite's live editor to work on knowledge as a team. Wondering about a team process? An admin question? Use Slite's powerful search to find answers to your questions. The activity feed and bolded channels indicate where people contribute and updated information. Leverage your best asset with Slite: team knowledge and information sharing. Build a company wiki that scales with your team's knowledge and documentation. Slite's enterprise plan suits your team's growth needs: from Single Sign-on to user groups to tailored pricing plans. Pick a tool that adapts to your team's growth, not the other way around. 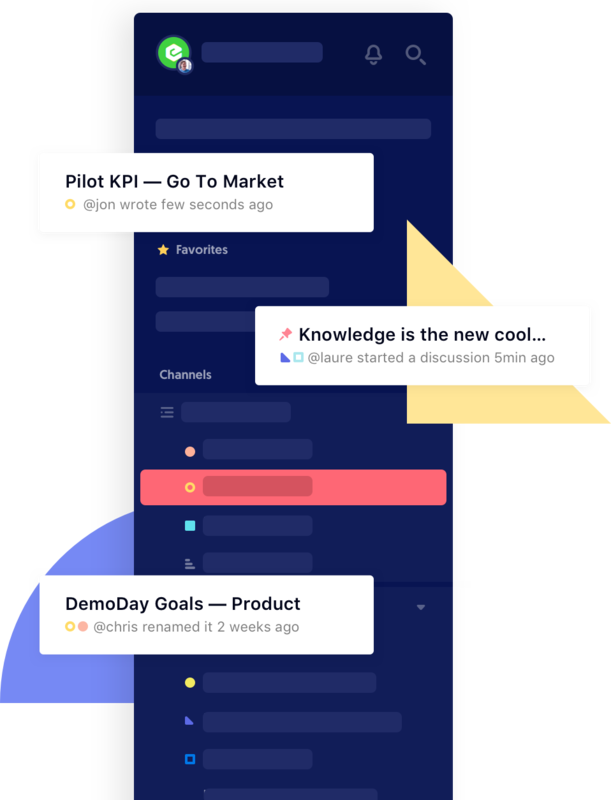 Slite makes it easy to see what's relevant to your team. The interface is not overwhelming for your team and ensures that your documents are always up to date and organized.